Happy New Year Everyone! I hope that you all had an amazing holiday season! We all had a wonderful break and are slowly getting back into the swing of things. How many of you made some resolutions for 2013? Here are some ideas for some reading resolutions for you and your young readers! 1. Establish a new reading spot. Shake it up, my friends! Find a new spot or a new time designated to reading. Switch out some old favorites for some new titles. 2. Visit your local library regularly. Take advantage of the free story time hours and resolution programs. Many libraries have new reading lists, incentives for reading a certain number of books, response activities and prizes. 3. Add a new activity to your reading routine. Start a response journal or try out a new post-reading activity. Check out some posts from the past about response journals and various activities to complete after reading a book. 4. Broaden your reading selections. Subscribe to a children's magazine, have your children read from the Kid's Korner of the newspaper and don't forget about those non-fiction titles and poetry books! Try reading some inspirational quotes at the breakfast table and start meaningful discussion. Check out this post about Steve Reifman's book, Changing Kids' Lives One Quote at a Time. Reifman's book includes various character building quotes worth sharing in the classroom or at the dinner table and also includes ideas for discussion and activities. What a great post! Sounds like you and your family had a wonderful holiday season, I'm so glad! 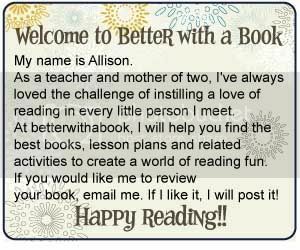 I love ideas to get children to read and this post is full of them. Thank you for sharing! I hope you're having a good week.